This occurred in Cairns, North Queensland, by a Maree Fell, with support from Jerry McAuliffe, FNQ Society Diocesan President, Peter Maher, the CEO of St Vincent de Paul in Brisbane, & by Queensland Police. 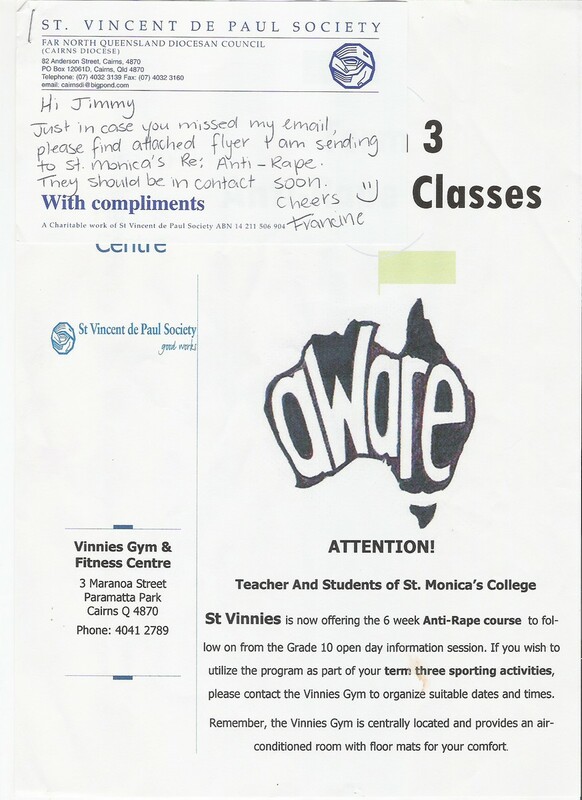 Jim Tierney's Vinnies Gym in Cairns was very successful at saving Youth at Risk of Drugs & Failure in Life. Jim Tierney, after Long & Detailed agreement with St Vincent de Paul conditionally donated weights & Gym Equipment. Perfect Model for Future Gyms in Australia & Internationally. We Will Promote their Formation.